Unfounded detentions and arrests of Ukrainian citizens in the territory of the Russian Federation saw a surge of late. The Foreign Ministry of Ukraine recommends Ukrainians to realistically assess the risks and threats when planning trips to the Russian Federation and assess all pros and contras of such travels. 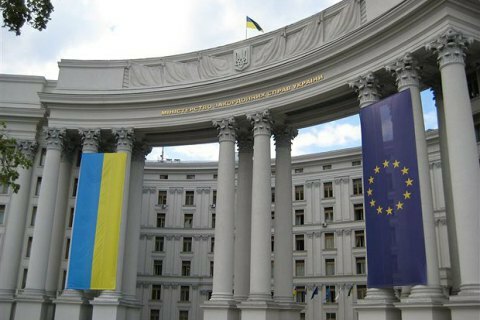 In a 27 July statement, the ministry's Consular Department on Facebook said it received numerous reports of unwarranted detentions and arrests of Ukrainian citizens on the territory of the Russian Federation and the inhumane treatment of them by law enforces. Such treatment is often incompatible with human dignity and includes the use of inappropriate methods of physical and psychological pressure, including tortures. In recent years, Ukrainians are detained of false pretext of foreign objects allegedly discovered in their personal belongings, including drugs that have been planted by third parties. "In this regard, in order to avoid unprovoked imprisonment in similar cases, you must be vigilant and attentive about contacting any strangers, including officials of the Russian Federation authorized to conduct customs, passport and all other kinds of control," the report warns. The ministry also warned against the involvement in criminal activities by smuggling drugs, including to Russia through offers of employment as "forwarders" to transferring goods to the CIS countries. "The Foreign Ministry recommends citizens to exercise extreme caution and vigilance upon receiving proposals from mediators or individuals about transportation of goods across the border," the release stresses. In any circumstances, the Ukrainian citizens are recommended without delay to call the hot lines of the Foreign Ministry's Prompt Response Center, or directly to the consular offices, located on the territory of the Russian Federation. The recent survey opinion polls by Levada Center indicate that the Russians consider the United States, Ukraine and Turkey as their prime enemies. At the same time, a quarter of the polled Russians say they are afraid to express their own opinions "about the current situation in the country."